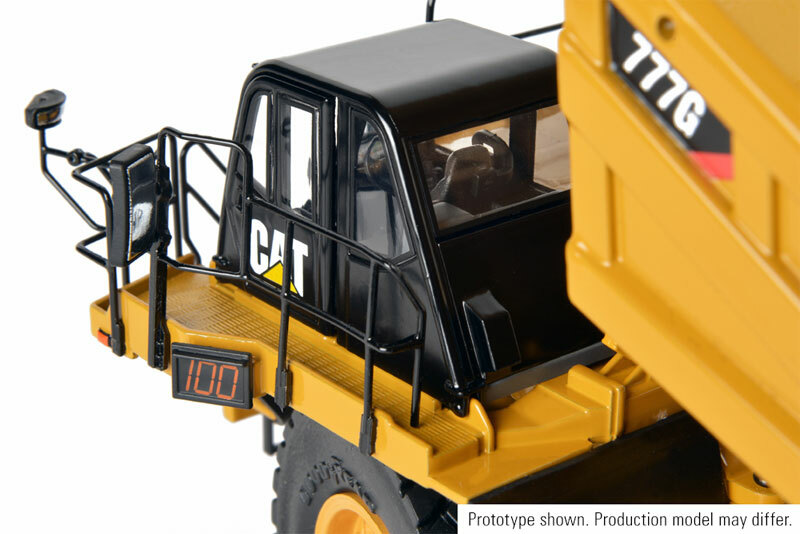 As with all CCM precision scale die-cast model, the detail level on this model is exemplary. 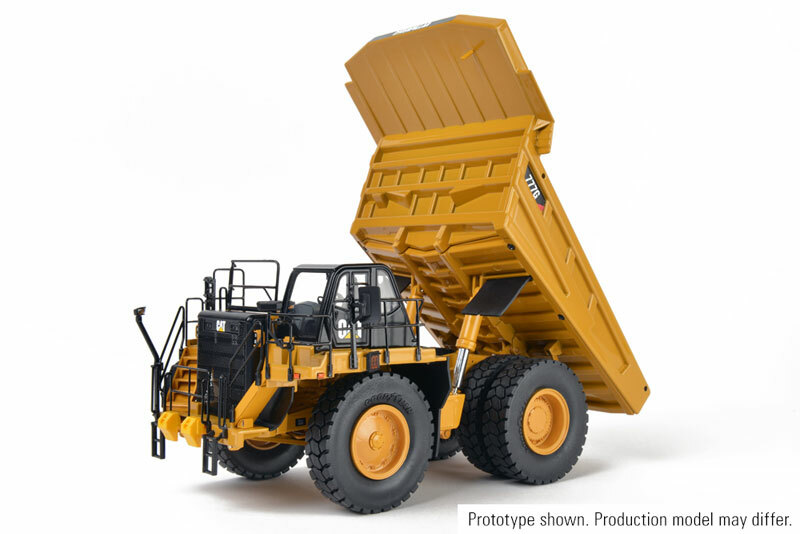 On the first layer this includes a working dump body with multi-stage lift cylinders, a fully-represented engine and drivetrain and pivoting steering complete with hydraulic cylinders. 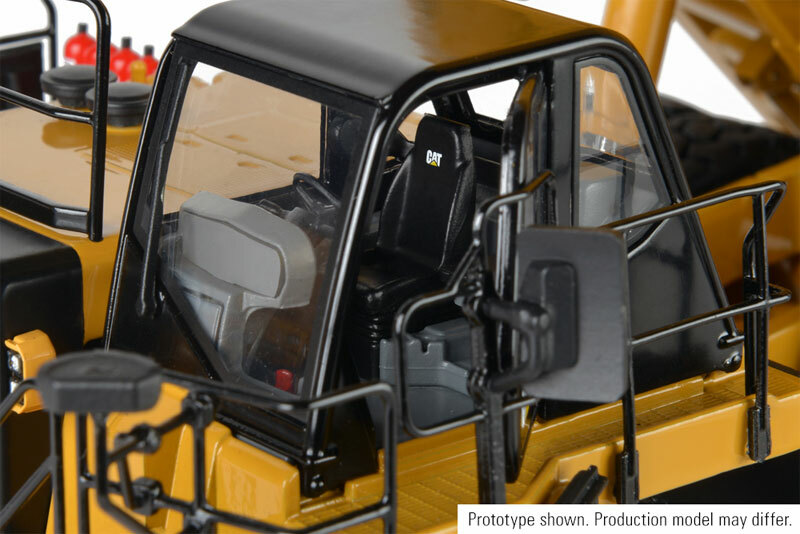 At the next level, and not so apparent, are a full array of fine-scale details such as wheel chocks, fire bottles, rock guards and the tread plate on all step surfaces. 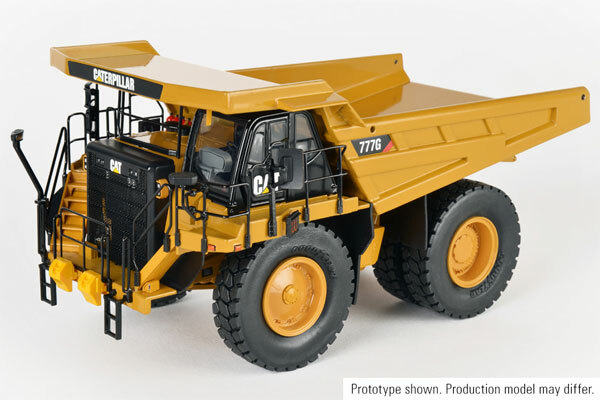 An accurately detailed operator’s cab, properly scaled tires and wheels, lights, mirrors, steps and grab rails all contribute to the realism – especially when this is all combined with Cat approved paint and markings. 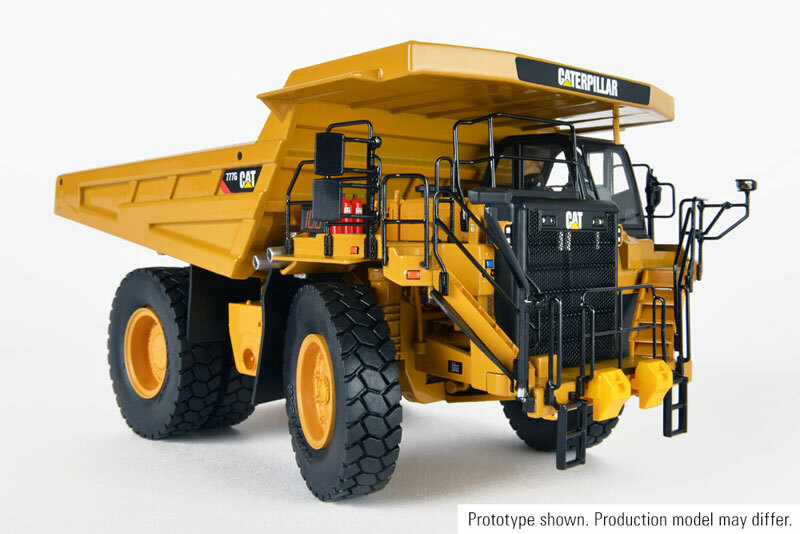 At a size of 8 ¾” X 5” X 4 3/8” the mud flaps and fuel and hydraulic tanks are easy to see but you’ll have to look close to find the tow hooks, tow pin and the wiper on the windshield.